The following photograph just appeared in my inbox. It's unbelievably precious. 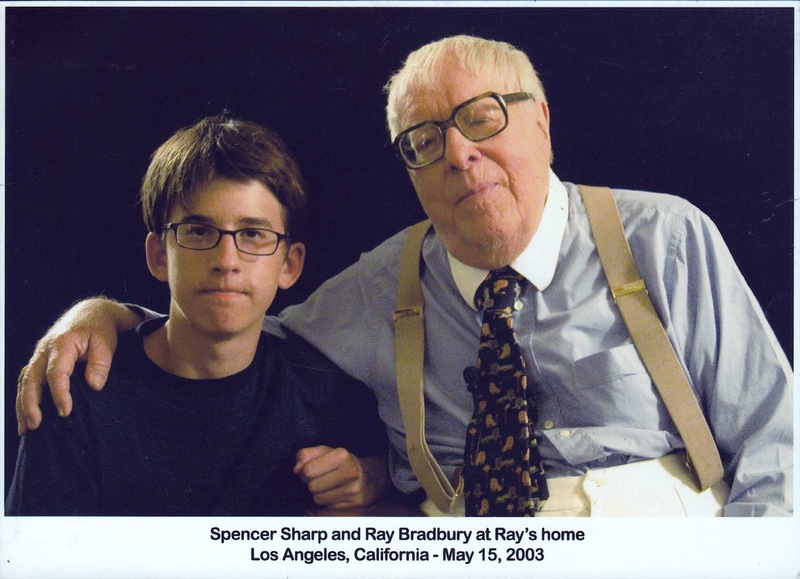 When Spencer told me he met Ray Bradbury, I filed that information away in a part of my brain reserved for things of pure disbelief. But here were are, proof of the event. And I am having trouble containing my jealousy and pride. In light of Ray's death, and in memoriam, I share with you, said charming photograph!